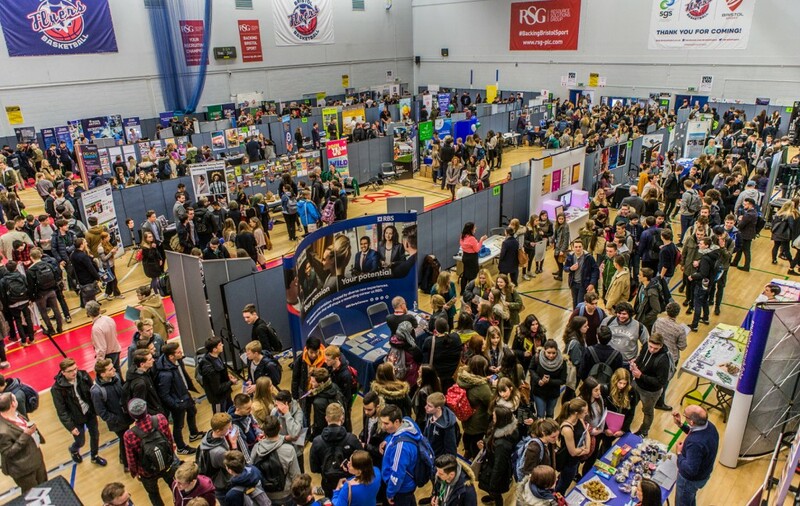 Around 2,000 students attended the Ambitions Plus careers event yesterday (Tuesday 16 February), which took place at South Gloucestershire & Stroud College’s WISE campus in Stoke Gifford. The interactive event was aimed at South Gloucestershire students aged 16 and over to help them make decisions about their future education or career choices. It was attended by sixth form and Level 3 college students from all schools in South Gloucestershire, along with over 60 employers and training providers. A range of careers advisers were also on hand to provide students with careers information, advice and guidance suited to their individual needs. As well as trying out practical skills such as interview techniques, the event featured a variety of informative seminars and also provides opportunities for students to talk to experts about going to university, taking a gap year, apprenticeships, school leaver programmes, volunteering, the jobs market and how to start your own business. Ambitions Plus is organised by South Gloucestershire Council, South Gloucestershire and Stroud College and the University of Gloucestershire.